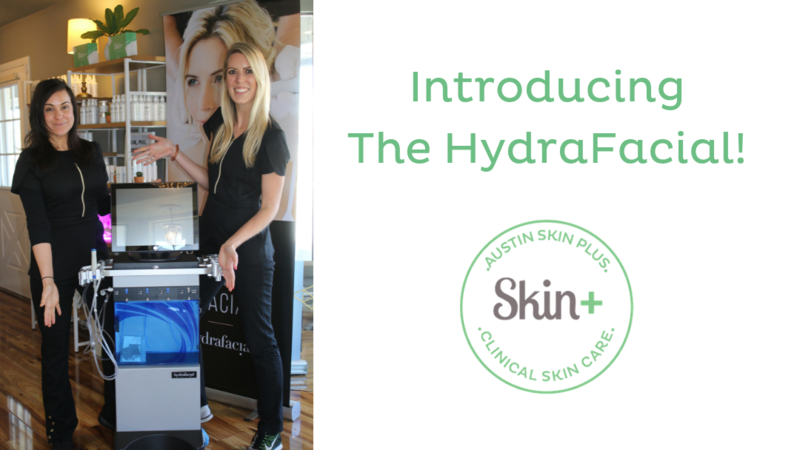 Austin Skin Plus | Introducing: The HydraFacial! I am so excited we are now offering HydraFacial treatments! We got our machine late December, Lauren, Lea, and I just love this service. All of you that have tried it are loving the results as well. It’s a facial that works for just about everyone. How does it work? It gently vacuums the pores while simultaneously pushing in serums and peels that hydrate, brighten, and nourish the skin. This facial is a bit of a phenomenon, with roughly 2 million treatments given around the world in 2017 alone. So, if you’re wondering if you should come in and try one, the answer is YES! It appeals to nearly all ages, all skin types, and all complexions: It rides the line between gentle enough to suit a variety of skin types, while also being strong enough to still be effective. Consistent results: The HydraFacial MD® machine is a very safe treatment and the results have shown to be consistent due to the machine’s technology. Instant gratification: Unlike many other facials, the HydraFacial has no post treatment redness, swelling, or peeling. Directly after the treatment your skin will be left plump, moisturized, and glowing. Nothing combats fine lines and wrinkles more than combining the HydraFacial with an age management skincare line. We are excited to announce our sister company, Carly Pilar, will be offering an age management skincare line soon! This specially crafted line of products has been developed to reduce the visible signs of aging. Who says you should look your age?! 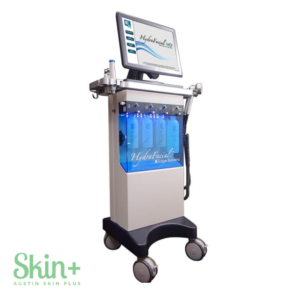 So now you have no excuse not to treat yourself to an amazing HydraFacial at Austin Skin+ and treat your skin with the love it deserves!